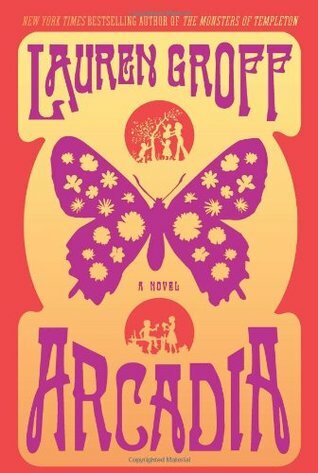 I know the one star rating looks bad, and I don’t think this is a BAD book; but, as the stars say, I “did not like it.” I was drawn in by the cover art, I suppose, and also the idea that this was a deep, character-driven myth-steeped novel with themes like redemption, time, human connection, etc. Which, I guess, isn’t completely inaccurate, it’s just that where I would usually like those things, it didn’t work for me here. I suppose the simplest way of describing this story is that it is set in the Russia of the Middle Ages and it follows the life of one character from infancy to death. It’s divided into four sections. For me, the first section was the best. The second section is called “The Book of Renunciation” and that’s kind of exactly what it made me want to do: renounce the book. It got better after that section, and yet I still feel I would have been better served–had a more enjoyable as well as more enlightening time–if I had just watched a few episodes of Riverdale instead. I’m not entirely sure what was so lacking for me in this book, but I will note that although we follow this main character for 350+ pages, I never really “got” him, like I don’t know what he’s actually like or feels or thinks, beyond just like “Ustina I love you” and “o God I am not worthye” type of stuff. Which, well, meh. In this, I guess it is kind of true to those fairy tales where everyone is like a cardboard cutout character. It works better when the story is 3 pages long, though. When stories stretch into the hundreds of pages, the characters should maybe make me feel something? But I think the author was going in a different direction, and the book had a similar brainfeel (readerfeel? what’s the literary equivalent of mouthfeel?) as Candide, Siddhartha, and other such fictional didactic works (which I did enjoy when I read them, but also, I was like 14 or 15; maybe if this book had gotten to me at an earlier, more impressionable age, I would have a better view of it). But the thing there is, I didn’t feel like it was effective. It was like I knew what he was trying to get at, but he didn’t make me realize it–the humanity or truth of his characters and his ideas never felt real to me. It didn’t add much to my knowledge or understanding. Which on one level is fine: I do read to learn new things, see new perspectives on humanity, and expand my horizons, but I also read for entertainment, enjoyment, a good story. For me, this didn’t qualify for any of that. I think this book would have been an interesting one to discuss with others–especially because the average Goodreads rating stands at 4.26 right now. Obviously many people got a lot more out of it than I did. Discussing a book I didn’t really like that much with others (especially those who have differing views of it) usually raises my opinion of it, so I’m kind of disappointed that this wasn’t a book club or buddy read. Too often the book felt tedious and lacking real depth, and talking about it with others can be antidote for that. 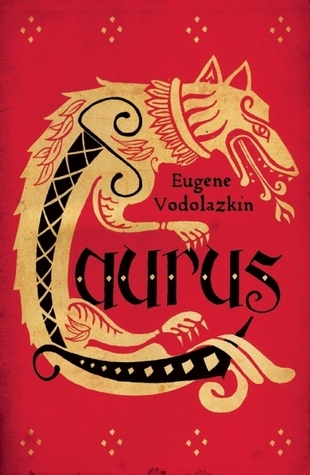 Alas, Laurus, I read you by myself, where you had free reign to annoy me just a few too many times. I picked this up because it’s the selection of a local book club (that I will probably not be able to attend, but ~whatever~). 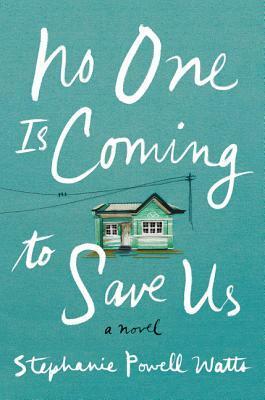 I honestly wasn’t expecting much since many “book club reads” are not necessarily my cup of tea, and when they cover weighty issues can sometimes turn into easily digestible platitudes. With this one, I have to say I was pleasantly surprised. 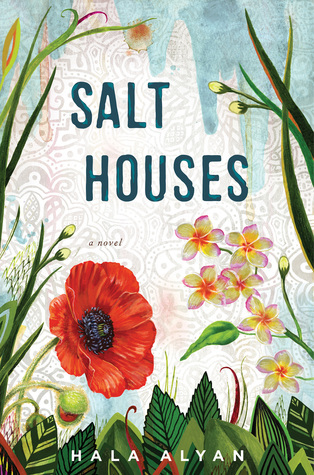 Salt Houses follows a Palestinian family over several decades and locations, as they are repeatedly displaced through war and conflict. Although they are fairly well-off–something that allows them relative safety and comfort–of course loss is a major part of their story. I thought the book did its thing well. However, sometimes the “intergenerational story” falters from being packed with too many characters, a timeline that is too stretched. While I thought the timeline on this one was fine, I think it did suffer from having too many characters. I have a pretty good memory and I read it in under a week, and I was still struggling to remember who was from which generation, whose kid was whose, etc. Characters I came to care about were not phased out so much as just dropped unceremoniously only to be mentioned in passing, once, hundreds of pages later. The overabundance of characters was easily the biggest drawback of the book, and I think the intergenerational saga could have still played out to good effect with a smaller cast. Despite that, the book was quite touching and moving in parts. Other reviewers have described the writing in glowing terms; while I personally would not describe it that way, I think that it the writing did strike the right chord throughout, which can be difficult to do in a book that deals with such issues. It didn’t come off as heavy-handed or overwrought. I’d recommend it to those who are interested in a sprawling family drama that also deals with the Israel/Palestine conflict. As far as my “challenge” this year to read through the Tournament of Books brackets, I’ve been having fairly good success, having completed 1/3 of the 18. I think finishing this goal is possible…not sure how likely it is, though. What it’s about: A hippie commune. A coming of age. Family. It follows the story of one character, Bit, from birth to middle age. What I liked: It reminded me a lot of Fates and Furies, in themes, characters, tone, and mood, and as I’ve stated I liked that book a lot. I think it dealt with its topics in an evenhanded way, in that the questions raised (individuality vs community, nature vs nurture, etc) can be argued either way based on the text. I was planning to pass this one on when I was done because I’m trying to reduce my bookshelf in anticipation of moving eventually, but I think I’ll be holding on to it because it seems like one I’ll want to revisit eventually. What I didn’t like: There wasn’t a whole lot I didn’t like. 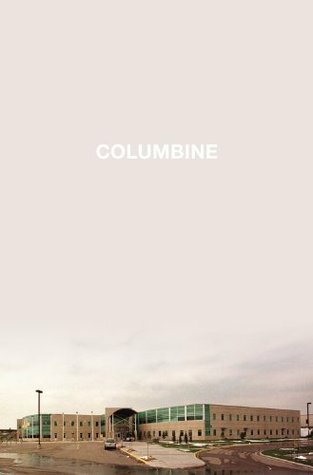 I will say that it kind of reminds me of a Coldplay song in that it can seem both happy and super depressing at the same time, and that it’s technically good but slightly pretentious. Overall / recommended: I enjoyed reading this one although, like a Coldplay song, it can put you in a weird funk. But, of course, that’s a testament to the emotional power of Groff’s writing. It touches on so many topics and, although sometimes I wish it had gone deeper into some of them, it does what it does in a very satisfying way.